You're right but it's ultimately going to come down to who's available in the offseason, and at what price? Basically the devil you know vs the devil you don't. I get that people think Smith has brought his career back from the ledge. He's 37. Any contract has risk. As good as he is playing, do you expect that to continue another year? Re-signing Smith is a short-sighted view of the team. This isn't just about results, it's about the future in nets. But, I digress. We thinking alike a lot lately. So here's a question. 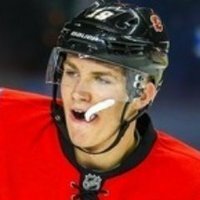 With how good we all believe Valimaki is and is going to be, and already having Giordano. Does Hanifin kind of become the odd man out and a potential trade chip in the off season? My only hesitation is that I am not sure I want to throw Valimaki right into a top 4 role this early. I would rather that he take that top 4 spot from Hanifin through his gameplay. That being said Hanifin could be a big piece in acquiring a 2nd line center. What I’d like him to possibly do skating into the zone is when two-three guys key on him, ring it around the boards to Lindholm. Spread them out. I expect it too. And did before the playoffs. Rightly or wrongly I could tell that Rittich isn’t quite their guy (yet?). We don’t have any backup plans or succession plans yet. None of the prospects are ready. i would sign him to a 3M deal and say if a guy passes him then it’s good to go with that guy. If he is injured it’s because he lets other teams take liberties and the refs don’t call the hacks and cross checks anymore. Everyone says speed and mental toughness win you games and cups, but not if your best goal scorer gets injured 2/3s into the season and can barely finish the year. Great on him to try play through it. Sure that’s tough. But look at guys like Marchand who rarely get injured, are slight in size but plays with a ton of speed and skill. I just can’t see a bounce back from that line because of the way they’ve played down the stretch run. They just don’t have it! You’re right. We HAD it. I’d say that the belief changed slightly after the mandated break. We started to believe we could still win without the details in our game that got us to that point. So if Monahan is playing through an injury, that'll be the 2nd year in a row that he has seen his game take a nose dive due to injury. That's a bit concerning to me because it's not like he plays a hard game, and is throwing his body around or is always battling. If he isn't injured than it is more than concerning, because he is our number 1 center and he has been absolute dog shirt this series. Let's see a big bounce back from our 1st line and win 3 straight. My only issue with Gaudreau so far this series and I thought it was better last night, but he is playing a bit scared. He looks like he is afraid to get hit, and in the playoffs you need your guys to take hits to make plays. I know that's not his game, but you have to play harder in the playoffs. If Gaudreau is looking over his shoulder for the hit than he isn't looking for the next play. That being said I agree Monahan hasn't been there to support Gaudreau offensively or defensively. That’s the frustration. The Avs live and die off their 1st line. The Avs figured out much of the offence runs thru Gaudreau and they’ve simply taken him out of the game with constant pressure and physicality. You would think the Flames would have had a plan to shut them down with so much time to prepare. It’s just a disappointing effort and result to an otherwise rather spectacular season. It was the first period of game 2 where Giordano was at the point holding the line when he got popped good. He went down and froze for a second and I swear the dome froze with him. He did manage to get back up and back to the bench. I don't think there was ever a replay of it and no one made mention of it again. Since that hit, I don't think Gio has been quite the same. He hasn't really joined the rush. He hasn't been able to hold the zones as we are used to seeing. Plus, they hit Gio high every chance they get (as they should). Given Monahan also looks hurts and I suspect Giordano too, that's two of our best four players not at 100%. No excuse I understand because Rantanen crawled into the series barely able to stand. But just something to consider. 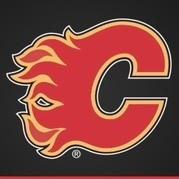 Game 1, 2, and 3 was the Flames showing a load of complacency driven by the arrogance afforded by their regular season success. This fueled their lack of urgency. Game 4 was better but only for 50-minutes. For once this season, the Flames face true adversity. Game 4 was adversity but this is technically the final game of the season if they lose. Let's see how they respond. The Flames can certainly win 3-straight. They've done it before and they were even undefeated against the Avs in the regular season. I was unpopular earlier this year for saying that this team needs a first line centre to be a contender. The Flames proved me very wrong during the regular season, but the playoffs are showing that I wasn't way out in left field. I think they need a number 1 centre or a top end two way centre for the second number line next year. That would bump Backlund to the third line where he would be a really strong player. Nope don't think so I would remember the name stubblejumper. I think you may have coached me at some point. I get/agree with what you are saying except for the part about their inability to backcheck. The only thing preventing them from backchecking is effort. The Top line is the one making all the difference. The Mackinon line is responsible for almost 35% of the Avs shots in the series. If you include the top d pair (as they usually play together ) it's 55% of the shots coming from those 5 players. We are having a very different conversation today if the Flames had been able effective deal with the Mackinnon line.